A Margaret River beach house is the ideal accommodation to enjoy the pristine beaches, world-class surf breaks and dazzling ocean views of our region. We can help you find the best Margaret River beach house destinations. With a comprehensive reference guide and independent reviews of Margaret River beach house offerings, our site can help you make an informed decision about renting a Margaret River beach house, based on prices, amenities, and proximity to the beach. Look for the 😉 icon for the businesses that have been reviewed. Ashley’s Villa Margarita: Wake up to Ocean views. Free Wi-Fi and Spas. This unique ocean-front accommodation has three Mediterranean-styled apartments: Two have Spas. All apts are completely self-contained, stylishly furnished and well equipped for your comfort with reversed-cycle air conditioning. Affordable rates, great location. In the heart of the Margaret river wine region. 😉 Beachfront Prevelly: Beachfront Prevelly offers comfortable family-friendly holiday house right opposite the beach in the South West corner of Western Australia. Beachside Prevelly Villas: Pet friendly accommodation, some with ocean views , and all a quick walk to the beautiful Prevelly beach. Spacious, affordable and each sleeping up to 6 persons. Choice of five houses, each with cosy log fires and air-conditioning/heating. Great locations opposite the handy local store and Sea Gardens Cafe-with WiFi. Regency Beach Club Dunsborough: Elegant, self-contained holiday homes ranging from 2 to 5 bedrooms (accommodating from 4 to 12 guests), located on a beachfront resort on Geographe Bay. All homes are walking distance from the beach – or closer. Sea & Soul Beachside Apartments Prevelly:This Margaret River beach house option gets you super close to the beach – only 50 metres from the water – at Prevelly Park. Accommodations are open plan studios, approximately 40 square metres, sleeping up to 2 people. Bay Village Resort & Spa Dunsborough: Find accommodation at this Dunsborough resort, offering accommodation for 2-6 people in a variety of apartments, cottages, chalets, and villas. Just a 2-minute walk to the beach at Geographe Bay. On-site day spa offers massage and beauty treatments. The Roozen Residence Pevelly: Designed by renowned Sydney architect Dale Jones-Evans, this luxurious Margaret River beach house is the embodiment of modern style, and has been featured in magazines such as Conde Nast Traveller and Australia’s Best Beach Houses. 2-minute walk to beach, 180 degree Indian Ocean views from every room. 😉 The Breakaway Beach House Gracetown: The Breakaway Beach House offers excellent family accommodation by the beach in the coastal town of Gracetown, WA.The perfect place to stay for those looking for an unforgettable getaway in the South West. 😉 Gracetown Beach House: Gracetown Beach House provides guests convenient access to a wide range of exciting beach activities as it’s located just a short walk away from the beach and local surf. 😉 Col’s Place Gracetown: Col’s Place is a wonderful renovated holiday home offering spectacular ocean and bay views for guests to enjoy. You can experiment with the region’s delicious local produce in the modern kitchen and relax in the spacious living areas that feature souring ceilings. 😉 Shorelands Gracetown: Shorelands will put you in an ideal location for a beach holiday. The holiday house is located just two minutes away from the ocean so that you and your travel companions can spend a relaxing day under the sun whenever you feel like it. 😉 Peppermint Cove Prevelly: If you want to experience an intimate private retreat in lovely Prevelly, then you need to look no further than Peppermint Cove. Located a short stroll from Prevelly beach, this beach house is different to other similar properties in the area. 😉 Red Door Gnarabup: Set high above rich green natural vegetation, Red Door is a holiday home popular amongst those who want to experience the best of what Western Australia has to offer. It provides incredible views of the pristine Indian Ocean. 😉 Salt Air Gracetown: The perfect choice for all seasons, Salt Air is renowned for its spaciousness, sunshine and closeness to the lovely beach. The beach house is delightfully decorated with opulent outdoor/indoor flow for your holiday barbeques. 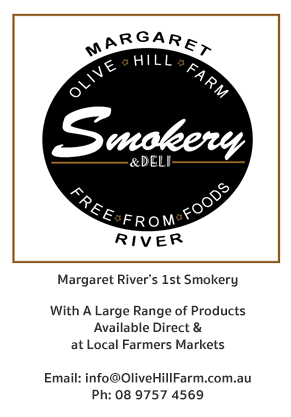 Like the Margaret River region? There is a button for that. “The Margaret River Guide” View great pictures of the region and hot spots around the world, share your stories and pictures helping others find out everything in the region, just click the like button below to share your love of Margaret River. Bay View Centro Holiday Apartments Dunsborough: Just 300 metres from the waters of Geographe Bay, this accommodation gives you a choice of two apartments, sleeping from 4 to 6 people. Plenty of space and stylishly furnished, these apartments are also walking distance from coffee shops and restaurants in Dunsborough. Chandlers Smiths Beach Villas Yallingup: This resort is located in Yallingup, just a 5-minute walk from Smiths Beach. Choose from 15 self-contained villas with uninterrupted ocean views. Smiths Beach is known for white sands, crystal clear water and consistent surf breaks. Guests can often see whales from their villa balconies. Dolphin House Gbarabup: This Margaret River beach house accommodates up to 14 people, with six bedrooms, two bathrooms and a large verandah, making it ideal for families. Only 200 metres from Grunters Point beach. 5 minutes drive to the Margaret River Golf Club. Sustainably designed with passive solar heating and cooling, natural timbers and rammed earth construction. Zephyr Studio Apartments Gnarabup: Uniquely designed and stylishly appointed private apartments for rent, only a 5 minute walk from Gnarabup Beach. Offering ocean views and spacious open living areas. Sustainable building design includes passive solar heating and cooling. 😉 Macca’s Shaque Gracetown: Macca’s Shaque offers high class beach house accommodation located in the coastal town of Gracetown in Western Australia’s south west corner.Perfect for families particularly those with teenagers, because they can have a kitchen and living space of their own. 😉Ocean Outlook Gracetown: Airy and light with amazing ocean views, Ocean Outlook is the ideal beach house. It offers all the conveniences and comforts of a magnificent holiday home that have been thoughtfully supplied to ensure you have a memorable stay. 😉 Time Out Gnarabup: Time Out is a well-equipped, modern beach house with reticulated garden and lawns situated in a quiet, secluded location. Your vacation needs are well met with amenities especially customised to make your getaway as enjoyable and relaxing as possible. 😉 Freyvelle Gnarabup: Freyvelle is special in both character and style with a lot of rammed earth, natural timber and rustic charm which the South West WA is popular for. The beach house is surrounded on all sides by fully grown beautiful Peppermint trees which not only frame the view but also offer full privacy to the property within. Bayshore Resort Dunsborough: A 4-star resort in Dunsborough with comfortably appointed villas accommodating up to 8 guests, this property offers a great way to experience a Margaret River beach house. A short walk to the beaches of Geographe Bay, this resort also offers a tennis court, BBQs, and a games room. The Break Gnarabup: At The Break on Gnarabup Beach – choose from 10 spacious holiday homes within 500 metres of the water. With 2 or 3 bedrooms, each house sleeps up to six people comfortably, with stylish and well-appointed accommodations and on-site pool and gym facilities. Gnarabup Beach House: With 3 bedrooms and 1 bathroom, this Margaret River beach house accommodates 6 people comfortably, and is just a short walk to the calm waters of Gnarabup Beach – ideal for swimming and fishing. Gracetown Chalet: A modern 2-bedroom chalet close to a sheltered swimming beach and boat launch facility at Cowaramup Bay. Amenities include full kitchen, washing machine, TV/DVD and BBQ. Hamelin Bay Escape Karridale: With a stylish contemporary design, this Margaret River beach house sleeps up to 8 people and is located near the town of Augusta, close to the protected swimming beach of Hamelin Bay. Kilifi Beach Villa Gnarabup: A two-storey coastal villa just a short walk from Gnarabup Beach, this Margaret River beach house sleeps up to 6 people with 3 bedrooms and 2 bathrooms. The adjacent Kilifi Beach Studio can accommodate up to 3 people. Schroders Augusta: Located in the small town of Augusta, this Margaret River beach house is a private, self-contained holiday home with 2 bedrooms and 1 bathroom, just a short distance to Flinders Bay. Whitesands Dunsborough: If you’re looking for a Margaret River beach house with the comforts of 4-star accommodation, consider Whitesands at Dunsborough. Deluxe 2-story villas with luxury spa baths, just a short walk to the white sands and whale watching of Geographe Bay. Yaningi Holiday House Gnarabup: This 3-bedroom, 2-bathroom house accommodates up to 10 people and is just a short walk to the waters of Gnarabup Beach. Sea Change Beach House Gnarabup: Just a short walk to the surfing and swimming beaches at Gnarabup and Prevelly, this house sleeps up to 8 people, offering 3 bedrooms, 2 bathrooms, and polished timber floors. 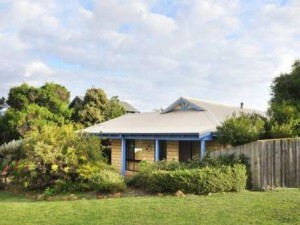 Craig’s Place Gnarabup: This Margaret River beach house offers comfortable, relaxed accommodations for up to 10 people. Cedar Cottage Gnarabup: Located in a forest of peppermint trees, this Margaret River beach house offers 3 bedrooms, 2 bathrooms, and an expansive deck – only a short walk to Gnarabup Lagoon. Georgette House Gracetown: A beautifully appointed luxury home with 4 bedrooms and 2 bathrooms, this Margaret River beach house sleeps up to 10 people and offers uninterrupted views of Gracetown. Spacious, modern and full of light. Studio Tramonto Gnarabup: “Tramonto” is the Italian word for “sunset,” and you will see some fabulous sunsets on Gnarabup Beach from this luxuriously appointed and stylish Margaret River beach house. Designed for discerning couples, this spacious studio has a full kitchen and King bed. Tamala Ridge Gnarabup: With commanding views of Gnarabup Beach and Leeuwin-Naturaliste National Park, this Margaret River beach house offers 3 bedrooms, 1 full bathroom and a second shower by the laundry. Just a 10 minute walk to the sheltered swimming beaches at Gnarabup. No matter what your needs might be for a Margaret River beach house – whether you’re planning a romantic couple’s getaway, a fun outing with friends, or a holiday for the entire family – our research and reference guides can help you find the ideal place in the sun. Want to see more Beach House in Busselton? Visit our Busselton Beach House page to get more business listings. Beach Resort: Find information on the best places to stay that are situated close to the beach – with amenities ranging from pools to barbecues to luxury accommodation and gourmet dining. Chalet: If you prefer a self-contained accommodation with modern amenities and updated design, we’ll help you find the best place for your needs. Live Chat: Talk with a local guide about where you’d like to stay and what you want to do – get personal recommendations for a Margaret River beach house, tours, dining, outdoor activities and other “must-see” destinations for your holiday. Follow this link to view the full list of different styles of Margaret River Accommodation.